Has daily commute always been a hassle? With frequent road congestions in metropolitans such as Los Angeles, New York, Seattle etc, it comes as no surprise that an average American spends more than 40 hours per year in traffic jams, as revealed by data company Inrix. 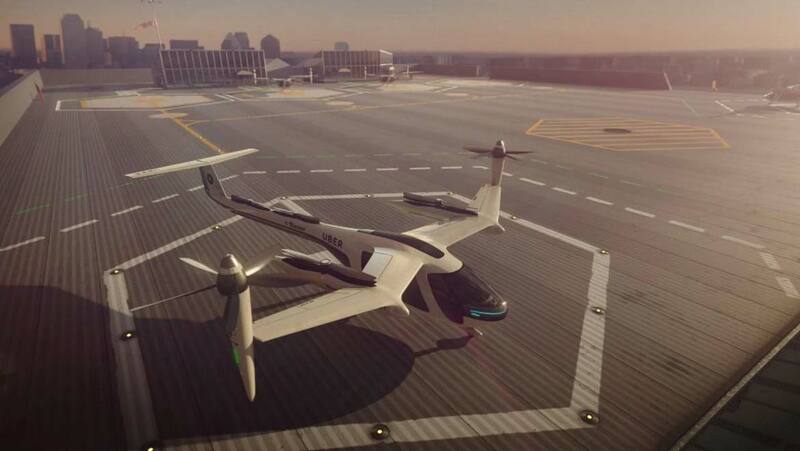 Uber and NASA have joined forces to develop and launch passenger flying taxis termed Project “Elevate” to ease the existing transportation situation around cities in the United States. As confirmed by Uber CPO, Jeff Holden, they will begin testing the first four jets in LA and Dallas by 2020, while NASA, with the help of two veterans, is to be engaged in creating a software that maps out flying routes and air traffic management programs. The proposed low-fleets will be capacitated to fly at about 200 miles per hour (322 kilometers/hour). These helicopter-drones are not going to be made by Uber but by manufacturers proficient in VTOL (vertical takeoff and landing) aircrafts with part-fixed wings. Developers are also in talks with LA’s Sandstone Properties to design landing and take off terminals on rooftops of buildings called “skyports”, similar to that of helipads. The taxi company, Uber, has decided to get a completely electric set of vehicles that also reduce traveling time to what would normally take 80 minutes, to just about 4 minutes. In an interview with USA Today, the Chief Product Officer, Jeff Holden, mentioned that he hoped residents of the crowded city, Los Angeles, will employ the services of the airborne cars during the 2028 Olympics. It is no secret that Uber itself is facing several legal battles over its safety, and has been stripped off its license in London. To this, an executive at the ride-sharing company, said that they are better aligning with regulatory bodies while attempting to change current methods with the release of these taxis. A video was released earlier demonstrating how the Elevate service will appear and function to user, and ended with a tagline saying, “Closer than you think”. For everyday commuters, this ride-sharing-in-the-sky option couldn’t have come a moment sooner, and it should be as simple as hailing a cab on the ground!